After 9/11 the concept of jihad was immediately interpreted by most Western media as a global “holy war” against all non-Muslims. Jihad became synonymous with terrorism and the media began to run stories of the perceived inherent, violent nature of Islam as evident in the Quran and in Islamic educational curricula. In the midst of the confusion that was expressed in the media, Muslim attitudes were polarized between constant apology and denial of any significance of jihad in today’s Islam, and continuous assertion that armed jihad is an obligation against all non-Muslims, and cheering September 11. To a great number of Muslims, however, the attacks on the World Trade Center and the Pentagon were evidence of a divorce between theory and practice that has long plagued the Muslim world. It was these voices in the middle that were the least heard and understood. Sheikh Yusuf Al-Qaradawi’s recent book on the meanings and rulings of jihad comes today as a much-needed reference for a clear and comprehensive understanding of the history of jihad in Islam—one that traces the linguistic meaning of the concept and the various developing debates on interpretations and applications of jihad in today’s world. Qaradawi’s book represents this middle voice that comes out strongly and at many times boldly to challenge a number of preconceived ideas held by both extremes. A key value in his work is that he devotes the larger part of the book delving in discussion with Muslim scholars of opposite views. It takes a comparative approach that maps the opinions of a variety of scholars over the different types of jihad, rulings over engaging in armed conflict with non-Muslims, and the ethics of war conduct. It offers a clear and rather interesting picture of the internal debate. A controversial figure himself who was accused of supporting terrorism because of his support for resistance movements against Israel, Qaradawi remains one of the most widely read and trusted Muslim scholars who are respected by millions of Muslims worldwide. For this reason, what Qaradawi says about jihad is important. His writings have a mind-shaping effect on many. Understanding jihad in Islam and trying to figure out why much of such violence is taking place cannot do without resort to scholarly reference that deconstructs all the relevant terms for a clearer and more responsible understanding of the concept and the corresponding phenomena. Qaradawi offers a significant distinction between fiqh and Shariah. He points out that Shariah is a divine revelation from God. Fiqh, on the other hand, is the derivation of rulings from this revelation. 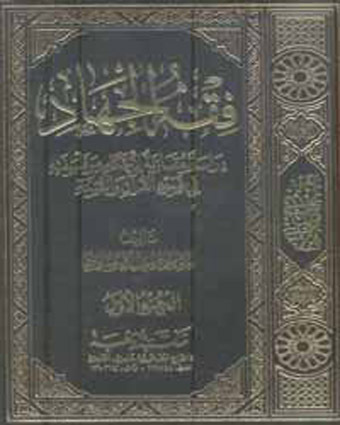 Unlike the common practice of fiqh among a number of Muslim scholars as a repetition or copying of rulings previously arrived at by imams of another age, Qaradawi reminds the reader of the original understanding of fiqh as a continuous engagement with the surrounding conditions of the age or the circumstances of a specific situation in order to arrive at a desired ruling. It is therefore a dynamic, constantly changing process. Such distinction, if clearly placed in the mind of an observer, would clarify the distinction between theory and practice. It would make it easier to pinpoint the faults and confusion in the practice, and would show the many ways with which an Islamic principle can be understood. Accordingly, Shariah can only be found in fiqh; it does not exist in a vacuum but rather in the many facets of its application. 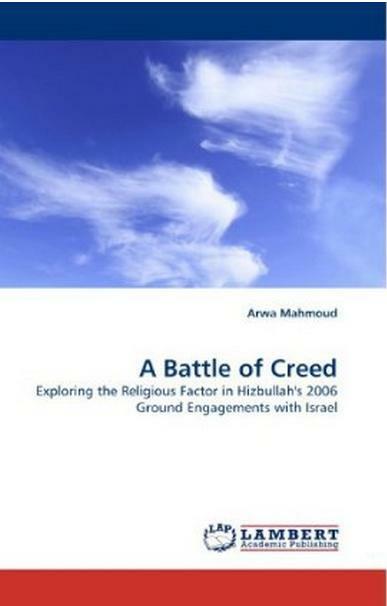 The book also offers a conceptually based approach in understanding the term jihad. It does not stop at refuting the common misconception of it being equivalent to holy war; it reaches down to the linguistic root of the word, which is juhd, or effort. Defined as “a Muslim’s exertion of effort in the resistance of evil and fighting falsehood, starting with exerting effort within oneself against evil drives, moving to resisting evil in society, and ending with resisting evil wherever it is, and within one’s capacity.” It is a wider and more comprehensive term than the normally understood qital, or armed fighting, which is rooted in the Arabic word qatl, or murder. This definition associates the exertion of effort with the establishment and protection of justice, liberty, and dignity for the well being of a society. Jihad is therefore directly attached to value and conduct rather than belief or affiliation. With this understanding maintained throughout his research, he attacks the Muslim view that jihad is armed fighting against non-Muslims simply because of their beliefs. In this larger context, Qaradawi stresses the centrality of jihad in Islam. He presents it as a religious obligation required of each Muslim. Prayer, fasting, and the rest of the regular rituals are not considered sufficient for a person to be a true Muslim; he or she has to be an active member of their community for the realization of such broad objectives. Why and how to fight are questions that are often left to the general public, and in many times are swiftly answered by those who assume a position of authority or responsibility over armed jihad. Although shocking to many Islamic “defenders,” some orientalist claims that Islam preaches at the point of the sword, or that Muslims are urged to fight all non-Muslims, are not necessarily groundless. Qaradawi addresses a much-heated discussion over Islamic scholarly claims that around 140 Quranic verses were replaced and hence nullified by a single verse some Muslim scholars called “the verse of the sword”—a process known in Arabic as naskh. Claims that certain Quranic verses replaced and nullified others are not new to Islamic thought, yet the contemporary shrinking room for the exchange of ideas and open scholarly debate within the Sunni tradition have isolated many views and rendered them alien to the public and hence more difficult to refute. Qaradawi deals thoroughly with the claim and questions the very principle of nullification – or replacement of rulings – in the Quran, arguing for a vibrant and “living” text that was not revealed to be later nullified. Through naskh, Qaradawi argues that the verses of the Quran do not cancel each other out; they offer further detail and clarification with each new revelation. Armed jihad was therefore further specified, and its rules of conduct were laid out. It was not a comprehensive call of annihilation that replaced all that preceded it. The idea of war was generally frowned upon in the Quran and armed Jihad, with its linguistic meaning, was perceived quite differently not as a “holy war” but rather as a much-hated necessity for the protection of the general well being of the Muslim community. There was nothing holy about it. Jihad, like other Islamic prescriptions, can only be fully comprehended within the socio-logic of a pulling and hauling pattern that constitutes the Islamic worldview, a pattern that is often known in Arabic as Sunnat Al-Tadafu`. Throughout history, strong forces have often been replaced by others, which in turn were also replaced. Oppression and injustice often bred rebellion that struck back at the heart of their establishment. Therefore, jihad with all its facets is perceived as a necessary force of change in society. Armed jihad, whether offensive or defensive, and in its most basic meaning, fell within Islam’s holistic message for the protection of the oppressed; of religion; land; and liberty of creed. It was therefore one of the tools with which a “moral balance” was maintained. Consequently, the practice of armed jihad has a strict code of ethics which Qaradawi stresses in his distinction between the use of force and violence. Building on historical text and a number of incidents, he shows that Muslim fighters are urged to avoid the resort to violence at all costs. Qaradawi launches a vicious attack on much of the practices that violate this code, such as the murder of children or the mutilation of dead bodies. Often repeated by some Muslim groups, the expressed view of the world to be divided into two abodes – an abode of Islam and an abode of war – does have a place in Muslim scholarly literature. How these two worlds are to be managed and the conditions that govern relations between them remains subject to a series of interpretations that developed with the ages. Qaradawi challenges this division by introducing a third world: the abode of the covenant. By adding the abode of the covenant Qaradawi reconstructed the abode of war; he narrowed it down to the State of Israel. As a settler state that was artificially established on invaded land, Israel is perceived to be an aggressive entity that should be resisted and fought. The fight against it is thus a religious fight because it is a religious obligation to resist occupation, not because Israel is a Jewish state. The abode of the covenant consequently became the rest of the world. Muslims are bound with other countries by international treaties and laws by which they have willfully chosen to abide. Threatening the security of the people in such countries would thus be considered a form of transgression. With all the detailed theoretical examination of the means and conduct of armed jihad, Qaradawi lays a solid foundation for a more informed practice of Shariah rulings on armed confrontation. In most of the ideas presented in his book, some of his propositions are revolutionary by many conservative Muslim standards. However, issues such as the relationship between the Arab state especially with its own people, and where it falls in all of this, remain unanswered. Theoretically, Qaradawi considers the duty of jihad to be the official concern of the army of the state under which Muslims reside. How should Muslims act if the head of state is corrupt, oppressive, and does not fulfill the duties required, remains loose. With a closer look at a phenomenon like Al-Qaeda, it would be an oversimplification to assume that the 9/11 attacks were merely the result of misinterpretation of religious text. The key problem with the Al-Qaeda ethos is the absence of strong state presence that is capable of protecting and maintaining sovereignty over much of the countries of the Arab world, which for decades has not witnessed any states that are able to use their forces effectively to deter aggressive powers from the outside, rather than use them inside against the people they are supposed to protect. With little room for free religious learning and a shrinking collective awareness, Al-Qaeda becomes equally the result of an oppressive and unjust state from within.